Deposition of relatively less subcutaneous fat by goats than sheep adversely affects storage properties of meat, most importantly dehydration and cold-shortening. High concentrate diets increase internal and carcass fat in goats, including intramuscular fat though levels are less than in cattle or sheep. 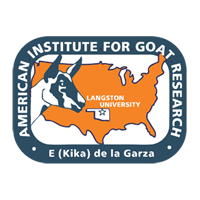 Levels of saturated and monounsaturated fatty acids are greater in goats consuming concentrate in confinement compared with rangeland grazing. Because the botanical composition of the diet selected by goats is more reflective of plant species available compared with cattle and sheep, changes in the botanical and chemical composition with high vs. low stocking rate or as forage mass declines with increasing stocking rate should be smaller compared with cattle and sheep, with greatest differences when browse plant species are available. The magnitude of effect of castration on carcass fatness varies considerably with plane of nutrition, although some gender comparisons have not considered stage of maturity. Limited nutrient intake maximizes lean tissue accretion and minimizes fat deposition regardless of gender. Pre-weaning growth rate is greater for single-kid litters compared with kids of multiple births depending on factors influencing milk production. Concentrate supplementation should increase pre-weaning growth when milk yield is low regardless of litter size but not with moderate-high milk yield when concentrate substitutes for milk. Genetic variability in performance traits is considerable and has been the target of various breed improvement and crossbreeding programs. Breed and genotype differences in carcass traits also exist; however, few improvement programs have included these traits in selection objectives.